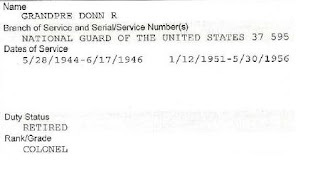 For a while now I have been wondering about the character who identifies himself as Colonel Donn de Grand Pre, an elderly man who claimed to have served in the OSS and that he had inside information regarding the "shoot down of United 93" and other things. 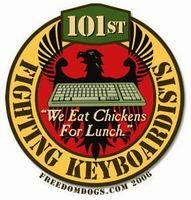 After witnessing people like Lauro Chavez, Guy Razer and Eric May, I was rather dubious about his wild claims. So I was rather interested to get an e-mail a couple of weeks ago from a reader, who had contacted Mary Schantag, of the POW Network to get a copy of his service records. It appears that Grand Pre, did actually retire as a Colonel, but not in the active army, but from the National Guard, after a career mostly spent in Civil Affairs. 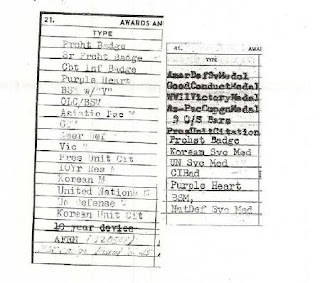 Additionally he did serve during WWII, but nothing in his record indicates he ever went overseas, much less served in the OSS in Burma. The sad thing is, like many people who exaggerate their military record, he actually didn't really need to. The guy did serve during the Korean War, where he earned a purple heart and bronze star. I guess he didn't consider that interesting enough, so he had to add in all these fantasies about hanging around with Chairmen of the Joint Chiefs.